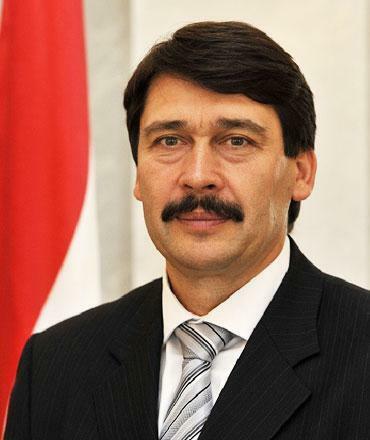 (MENAFN - Jordan Times) AMMAN — President of Hungary János Áder will arrive in Jordan today, starting a four-day official visit during which he will hold talks with His Majesty King Abdullah on means to foster bilateral ties as well as regional and international issues of mutual concern, according to Hungarian Ambassador in Amman Csaba Czibere. In addition to the scheduled talks, the Hungarian president will participate in the opening of the 2017World Science Forum(WSF)which will start on November 7th and will visit main sites in the country, the ambassador said in a recent interview with The Jordan Times on the occasion of the visit. 'Our president is looking forward to the official visit to get to know the country and its people too,' said the ambassador. The visit coincided with the 2017 World Science Forum, which is an initiative that started in 2003 by the Hungarian Academy of Sciences and the UNESCO, said the ambassador, stressing on the high significance of Jordan's hosting of the forum, which is expected to be attended by more than 3,000 high-level participants. 'For the first time, this forum is coming to the region and Jordan is the most natural choice to host the event, which recognises how much the Kingdom is doing for peace and science,' said the diplomat. 'This is a major event in the life of Jordan,' said the ambassador, stressing that since the very beginning of the forum, Jordan has been represented at high level. The Hungarian president's visit, he said, will help build further on existing strategic cooperation between the two countries in various areas, including fields of science and higher education. 'Hungary is the largest state scholarship provider to Jordan…according to an agreement between the two counties a total of 400 scholarships for higher education programmes are granted to Jordanians each year, said the ambassador. Jordan is the largest recipient of the state scholarships programme by Hungary, which is called Stipendium Hungaricum, he said. 'We have 55 partnercountries in the programme and the numbersare growing…This academic year, we have 6,700 scholarship holders from these 55 countries out of whom 650 are Jordanians,' he said. For the current academic year, 400 scholarships were extended to Jordanians, out of which 220 were in the master's level, 65 were allocated for PhD students and the rest in first college degree. 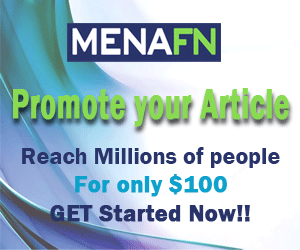 Scholarships are granted in various majors including medicine, dentistry, all fields of engineering, business studies, IT, humanities and management. On trade exchange between the two countries, the ambassador said it was affected and fluctuated following the regional geopolitical developments and the closure of borders between Jordan and neighbouring countries. Trade exchange in 2016 reached $45 million, the bulk of which was Hungarian exports to Jordan. He added that the relaxed EU rules of origin would help pave the way for increased cooperation in this regard. During the interview, the ambassador stressed that the Hungarian president is an active contributor in the international promotion of water solutions, sustainability and the protection of environment. 'The president promotes these issues at an international level,' he said. The Hungarian president is a member in a high level panel of water and sanitation of the UN secretary general, he said. Hungary, which chairs the Visegrad group of Central European states, is looking into more micro aid projects targeting host communities in Jordan to help refugees too in camps.